The original chapel was founded as a Saxon monastery in 983 by St Oswald. The current building began construction in the 11th-c, and the nave and great central tower were finally added in the late 14th-c. The monastery which grew up around the cathedral was dissolved in 1540. 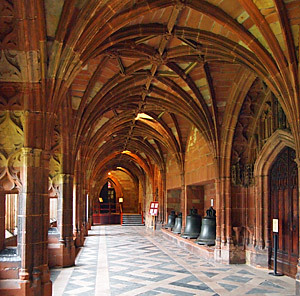 However, many of its buildings still remain, such as the cloisters (show right), the college hall refectory and the 12th-c circular chapter house (one of the first of its kind). The cathedral has a wealth of fine carvings. The cathedral is the burial place of King John, (1167 to 1216). The oldest royal effigy in England sits above his tomb, in front of the high altar. Carved from Purbeck marble, it shows the King flanked by the Bishops Wulstan and Oswald. Henry Vlll's elder brother, Prince Arthur is also buried here. The cathedral library contains an interesting collection of early manuscripts, including fragments of an 8th-c Gospel. Every three years, the cathedral hosts one of Europe's oldest music events, the 'Three Choirs Festival', which it has shared with Gloucester and Hereford since 1719. 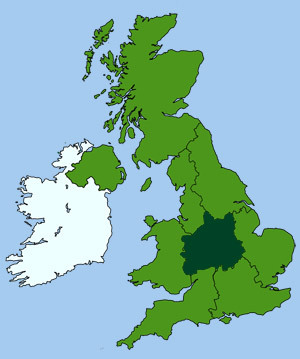 The works of Sir Edward Elgar, who was born in nearby Lower Broadheath, are regularly performed at the festival. Elgar's statue stands outside the cathedral. Located outside the old city walls, The Commandery is a splendid 15th-c timber-framed building, with a great hall containing mural paintings and a fine hammerbeam roof. 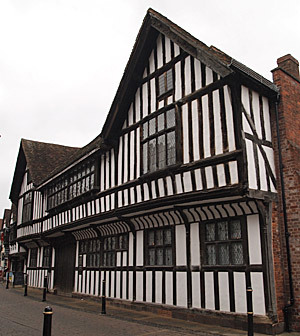 Originally built in 1085 by St Wulstan, it was later restored in the 15th-c and used by Charles II as his headquarters during the Battle of Worcester in 1651. Following the battle, the Duke of Hamilton (commander of the Royalist forces) died of his wounds in the Commandery complex. The building was also once used as an almshouse, a hospice, a country house and later a glovemaker's workshop. It is now a visitor centre containing England's only Civil War Exhibition. 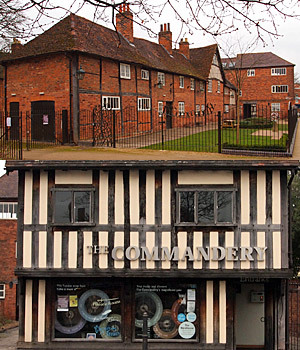 Information boards and audio-visual displays describe the Commandery's long and checkered history, including the trial of King Charles. Contains displays of contemporary art, local archaeology and social history, including a 19th-c chemist's shop. 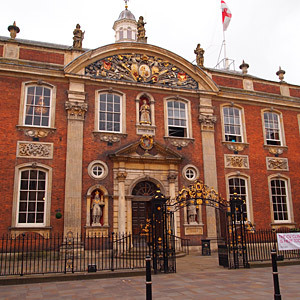 Civil War relics are also on display and one section of the museum is devoted to the Worcestershire Regiment formed in 1694, and the Worcestershire Yeoman Cavalry, formed 100 years later. Exhibits include, uniforms, weapons and three Victoria Crosses, plus relics from the Second World War. 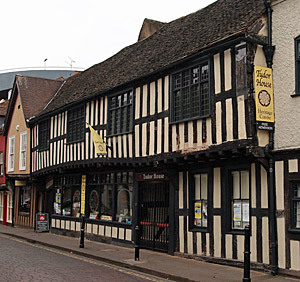 This 500 year old timber-framed building is now a fascinating period museum. The house depicts life in the city from Elizabethan times, including many authentic rooms and kitchen with a cast-iron cooking range. Opening times: Wed and Sat, 10am - 4pm. Erected in 1480 as a hostelry for travellers, it remains a fine timber-framed medieval house, newly decorated in period style. Outside an archway leads through to a pretty walled garden. Opening times: Mar~Dec: Wed to Sun 1pm - 5pm. A grand example of Queen Anne architecture, designed by Thomas White in 1721 (a pupil of Sir Christopher Wren). Its facade is one of the finest examples 18th-c architecture in the country. Statues of Charles I and Charles II flank the entrance, and a carving of the head of Oliver Cromwell is nailed by the ears above the doorway, reflecting the city's strong Royalist allegiance. The hall contains an exquisitely decorated Queen Anne assembly room, and a collection of fine 17th-c armour from the Battle of Worcester. Worcester's porcelain industry began in 1751 by a group of local businessmen, lead by Dr John Wall. Who's intention was to create "a ware of a form so precise as to be easily distinguished from other English porcelain". The factory initially produced many successful lines of Chinese blue-printed ware, and later, richly ornamented ware. 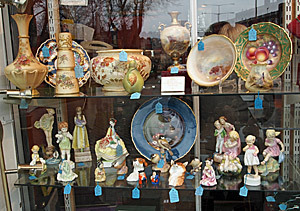 The museum contains a very fine and comprehensive collection of Worcestershire porcelain, from 1751 to the present day. Exhibits include the collections of the Worcester Royal Porcelain Company and the late Dyson Perrins. The adjacent Worcester Royal Porcelain factory is also open to the public for booked tours.